Active Star with LaptopActive Star is a universal access terminal for blind computer users. Information is displayed in real time on 40 tactile Braille cells. Connected wirelessly to a mobile device like a smart phone, the Active Star provides access to the internet and your e-mail on the go. The Active Star is both a Braille display and a note-taking device in one. Thanks to the integrated HID (human interface device) technology, the Active Star is automatically recognized by computer systems and will run without the need to install a driver. 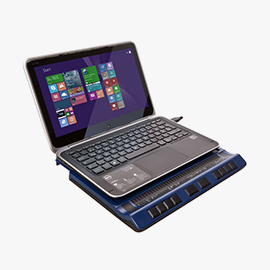 Windows screen readers such as Window-Eyes, JAWS, NVDA or Supernova can be used with the Active Star with either a wireless or Bluetooth connection. Mobile devices, such as Apple iOS, Android or Google OS also offer support for the Active Star. 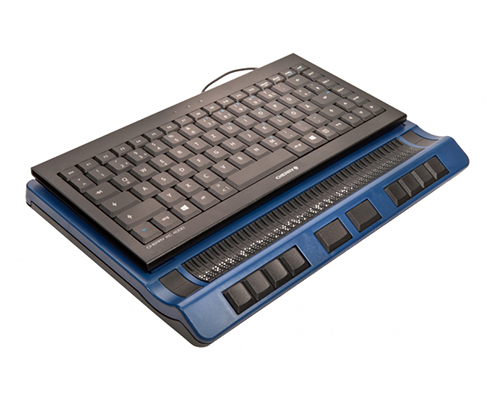 The included keyboard and the patented ATC-technology offer a unique braille reading and writing experience for users of the Active Star. 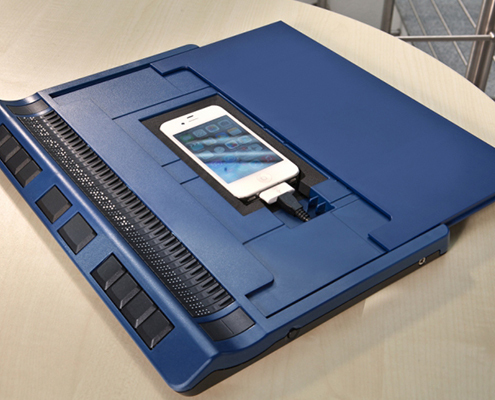 the Active Star can be used as a stand-alone system anywhere at any time to take notes or read a book without needing to be connected to a computeror other external device. Many note taking features such as an editor, calculator, timer, alarm clock to name a few are built-in to the Active Star. 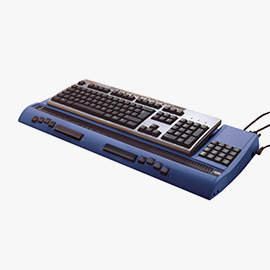 Interactive games and MusikBraille are unique features of the Active Star that makes learning to read and write in Braille fun and engaging. Notes taken on the Active Star during a meeting or at school can easily be transferred to a Windows PC using Handy Tech’s own HTCom utility. 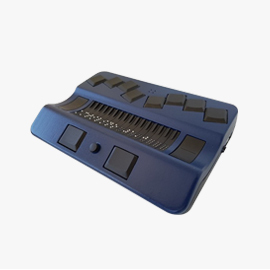 The Active Braille can also be detected as a mass storage device. This allows for the transferring of files using the same familiar file management methods you would use with any other external drive or memory stick. HTComThe file transfer program HTCom allows converting text to contracted Braille or translating it back to computer Braille. HTCom also allows transferring information straight from the internet to the Active Star. Active Star with keyboardActive Star offers a unique function to discover your musical talents: The patent pending MusikBraille plays back the music notes while typing them. 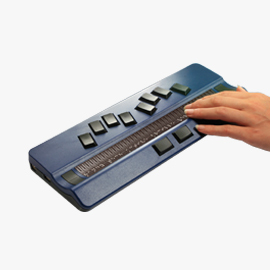 MusikBraille takes advantage of the integrated ATC-technology. 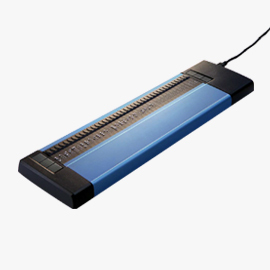 By detecting the reading position on the Braille display, the music notes are converted directly into the corresponding sound. Due to the new polyphonic sound technology, several instruments, such as piano or guitar, can be chosen for playback. The built-in stereo speakers as well as the head set jack guarantee a good quality listening experience. You can even directly modify musical pieces using the easy to use music editor. Fun, interactive games implemented in the Active Star is used to support the Braille learning process. In order to support Braille teachers, Active Star offers the ATC analyzing tools ATC-LogAnalyzer and ATC-LogPlayer. The tactile reading flow can be analyzed by the ATC-LogAnalyzer and detected reading positions are saved in a Log-file. The ATC-LogAnalyzer allows the detection of inconsistencies within the reading flow during a lesson. Difficulties when reading specific characters or character combinations are registered and well-documented. The ATC-LogPlayer presents the reading flow of a student in real time on the computer screen. Enjoy reading books from beginning to end with the Active Star without the need to press the scroll button continuously. The Braille automatically scrolls to the next line once the line has been completely read. The ATC technology makes Braille reading fun. Advanced Braille readers with a very soft touch also enjoy reading books from beginning to end in Bookworm mode. 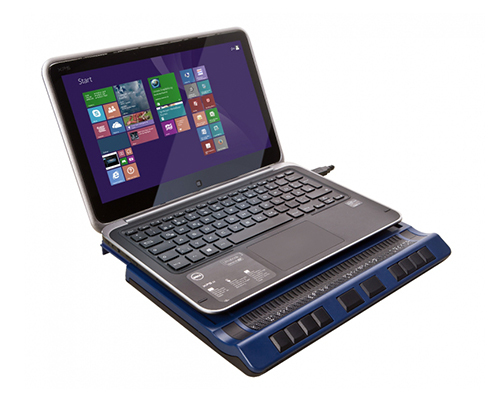 The Active Star is optimized for use with a laptop computer. 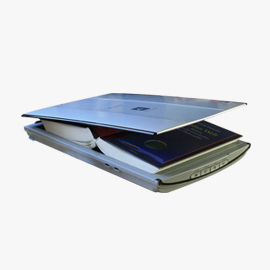 The tray mechanism of the Active Star allows adjusting the size to various laptop computers. 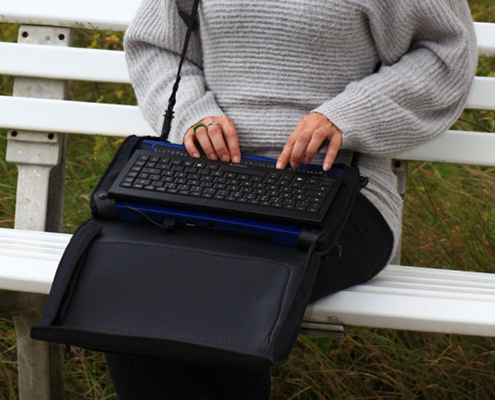 For compact laptops there is enough room within the carrying bag provided with the Active Star to accomidate most laptop computers. Active Star with mobile phoneWith its integrated wireless Bluetooth interface, the Active Star offers convenient access to various smart phones which may be placed into the small compartment underneath the tray mechanism. Access to all of your favorite mobile apps may then be controlled from the keyboard of the Active Star. The Active Star is compact and light weight. The 22 mm height of the housing and its weight of 1090 g, makes the Active Star an ideal companion. Using lithium technology as rechargeable batteries, the Active Star reaches an impressive battery life of 40 hours. Using the handy carrier bag with the shoulder strap, the Active Star can be easily carried anywhere. 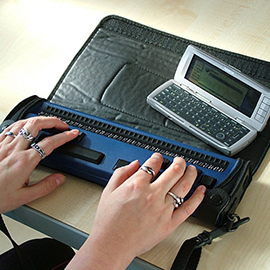 The unique Handy Tech concave Braille cells allow reading Braille in a relaxed hand position. 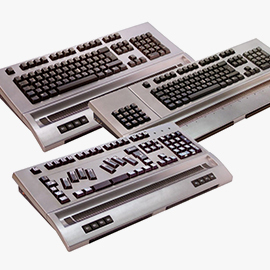 Also the magnetic fixture of the keyboard, that keeps it always in the right place, is unique.